WASHINGTON, DC November 9, 2016– The American Coal Council congratulates President-elect Donald Trump on his victory in yesterday’s presidential election. President-elect Trump knows the strategic importance of energy in America. This includes our abundant coal resources, larger than those of any other country in the world. He supports coal and energy jobs as an integral part of a strong economy. He understands the urgent need to rein in the Washington bureaucracy and sweeping, excessive regulations in order to protect jobs, retain and grow our nation’s industrial and manufacturing base, and reduce the costly burden of rules that lack commensurate benefits. With a significant loss of coal demand made permanent due to plant closures, it will be critical to protect the investments made in the remaining coal generation fleet. These plants are essential for our nation’s power sector to deliver reliable 24/7 electricity to American homes, hospitals, and schools as well as business enterprises and manufacturers of steel, cement, chemicals, paper, and other industrial products. 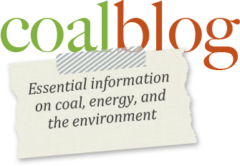 The path forward for coal must also include new technologies and uses. We look forward to working with President-elect Trump and the members of Congress to begin the process of restoring coal and rebuilding the nation’s economy.